By Yvonne Coate & Kevin Coate. Below are two books written by my mum and dad that I have illustrated the cover and helped out with layout. Not only are these informative Australian history books but are also a fascinating read (and I'm not just saying that because the authors are my parents). An absolutely essential handbook for all outback historians and genealogists. Cross indexed. This informative website is a unique resource showing many forgotten grave sites and burial places of people who have contributed to the history of Western Australia. The Western Australian Genealogical Society Inc. (WAGS) should be congratulated for the enormous effort putting this website up. It is updated and maintained by Chris Loudon. 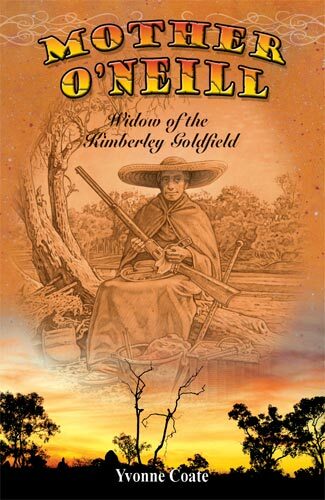 Sarah O’Neill was a widow on the Kimberley Goldfield, in the 1880s, the same time as Russian Jack, the famous wheelbarrow man who became legendary throughout the goldfields of WA. Sarah led an even more fascinating existence in Halls Creek. Her fortitude, inner strength and tenacity were a byword wherever she went. Yvonne’s book brings to life this almost forgotten pioneer and the time and place she lived. Beautifully illustrated in full colour it details Sarah’s life and the localities, with maps, photographs and artwork. 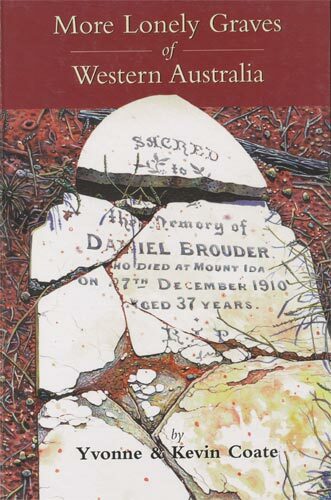 Accurate details of the historic sites around Halls Creek, the Old Halls Creek cemetery, the numerous lonely graves of the area, details of the original route to the goldfields, and information on the colonial liquor laws that Sarah ran afoul of are also included to make this book a pleasure to read, handle and view.